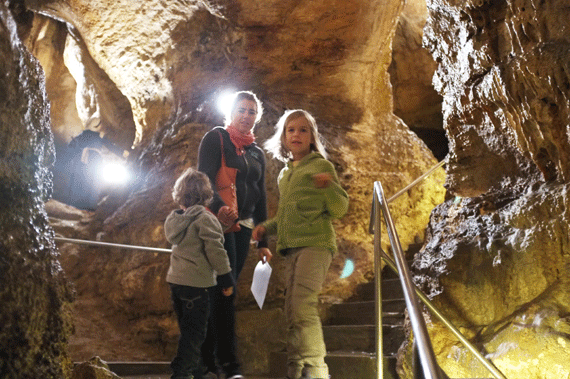 For the ultimate October day trip head out towards Beroun and take the kids to the limestone caves at Koněprusy. You can even follow this up with a visit to the Pumpkin Farm at Bykoš as it’s only a 5 minutes drive away. This is a nice time of year to experience the countryside and this area (around 45 minutes from Prague) is very scenic. 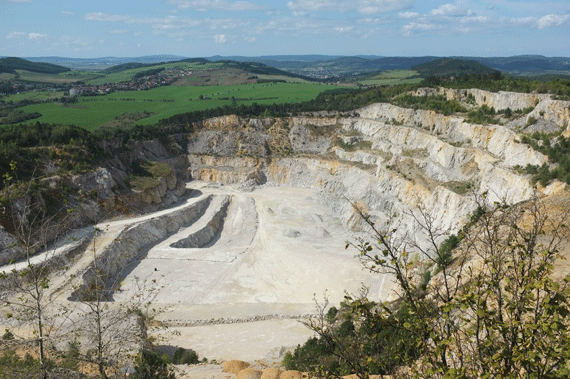 Koněprusy is only 7km south of Beroun and the D5 freeway to Plzen and Germany. This area is great for weekend drives as it’s very pastoral with lovely farming villages and kids can spot lots of heavy machinery hard at work harvesting crops and readying fields for the upcoming winter. 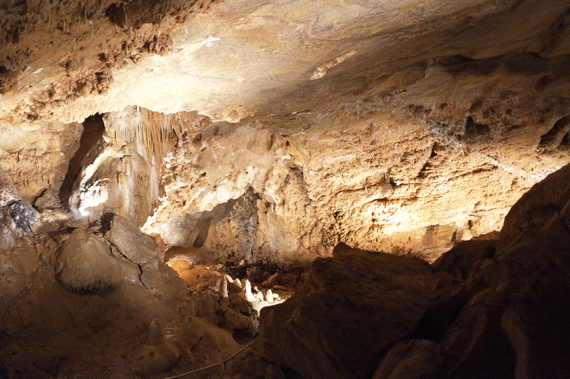 Our main purpose on our outing was to give our kids their first caving experience. So when you reach the turn-off for the caves you will need to pay (from memory about 30czk) and park your car in a large carpark. It’s then a decent walk up to the cave buildings so little ones may need some poking or prodding uphill - it’s a good test though to see how they will handle the stairs and walking within the caves. There is a couple of souvenir shops, a snack bar, the ticket office and toilets up here to entertain you whilst you wait for the next tour. English speakers are catered for, signage is in Czech and English and you are given a sheet with information on the caves, their history, geology etc. the exact information that the guide shares with the group. When heading to the cave entrance you will pass a large limestone quarry below, this lovely stone is what creates such beautiful underground places of wonder for us (and such gorgeous beaches in Croatia!). 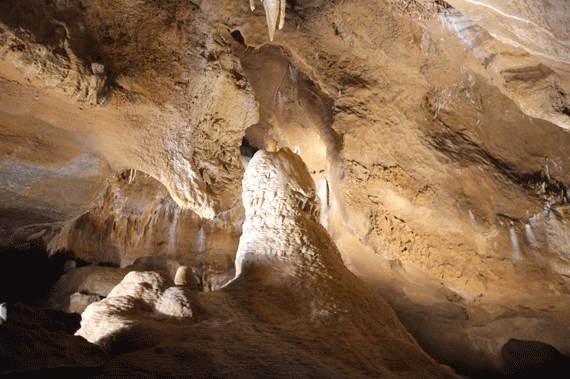 I’ve been in many caves over the years, there are some absolutely stunning ones just outside of Sydney, Australia where I’m from, so for me Koněprusy was quite small and modest in comparison but still fun and gosh did our kids love it! Just the adventure of heading inside, underground was thrilling for them both. Walking through narrow tunnels into large light-filled caverns had them in awe. Lucie is obsessed with Fairies and was in fantasy land spotting the Shawls, Stalactites, Stalagmites and crystal formations hanging randomly - she knew there had to be Fairy folk living down there. The tour takes in various chambers, each with it’s own story of discovery and unique history. These caves in modern times were discovered in 1950 and have been open to the public since 1959 but interestingly, during the 15th century some of the cave chambers were used for illegal manufacturing of coins. Other caves were accidental death traps for a whole range of prehistoric animals over thousands of years who fell through holes from the mountain above. Paleontologists have found a rich collection of remains including bones from our ancestor the Homo Sapien estimated at 13000 years old! A display of the significant finds are exhibited but the originals are housed in Prague’s National Museum. The lighting and pathways made walking easy, the only challenging part was a massive spiral staircase with 83 stairs - everyone was puffing when they reached the top. In all, the tour takes 1 hour and is 620 metres in length. Inside the caves the temperature is a steady 10.5C, so bring along warm jackets. 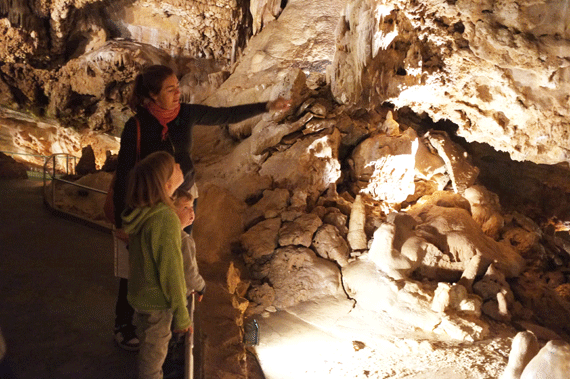 Overall, it was a great experience for all of us and the kids want to do it all again and explore more caves. 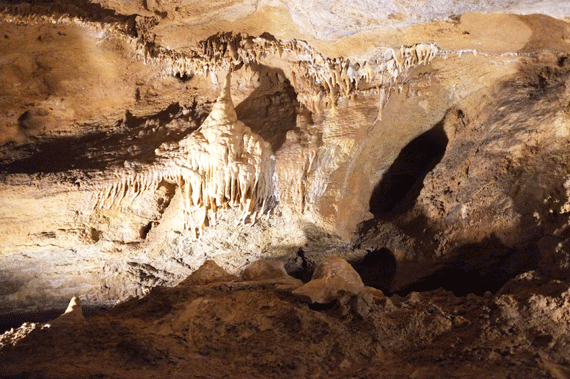 If you take a look at the website below you’ll see the Czech Republic has quite a few cave systems but most are in Moravia. Also, we paid an additional 40czk to take in our camera so we could take some photos to remember the day and to share with you. 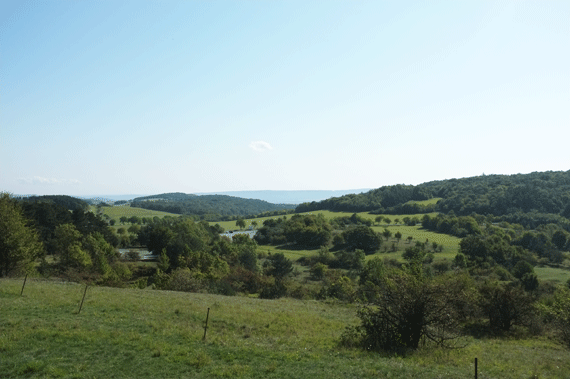 This part of the Czech countryside is also close to two of the most beautiful castles - Křivoklát and Karlštejn which are worth a visit if you’ve never been. You’ll also be able to find some decent places for lunch in these towns but I can also recommend a lovely town called Srbso, there is a super little restaurant U Berounky and as the name suggests, it’s right on the Berounka river and has a kids corner. 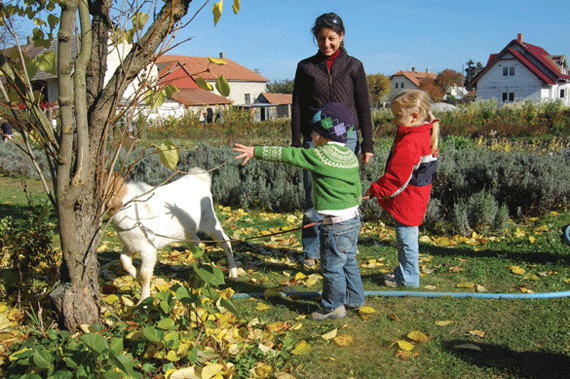 Or you could try Darina’s restaurant recommendation Ve Stoleti (with playground) find right near Beroun. Don’t forget to head down the hill to Bykoš and look for the Bykoš Dýňová Farma signs that will lead you straight to this family-friendly farm where you can pick your own pumpkins and maybe even eat some pumpkin treats and/or soup. DIRECTIONS: Take the D5 route towards Plzen and take EXIT 18 to Koněprusy. There is paid parking on-site.